Whew! I'm so glad to be home again. I was gone for 20 days over the past month and am happy to spend the rest of December back in my favorite city. 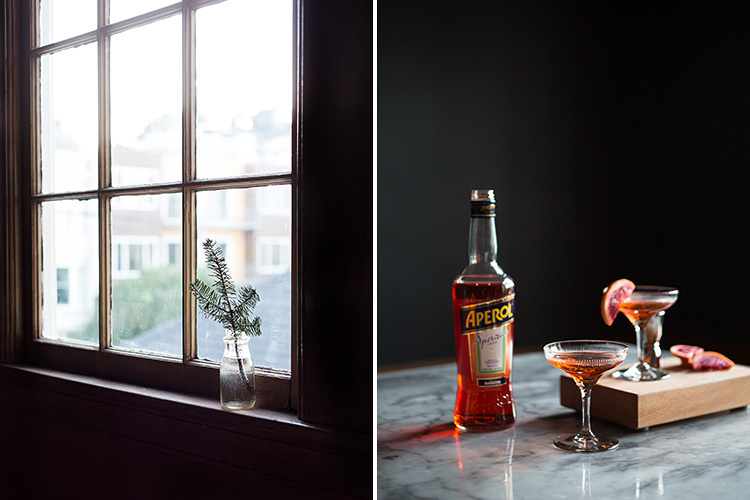 I just returned last night from a trip to SF where I was shooting a cookbook for Weldon Owen Publishing. It was a blast and I already miss my SF hosts and the shoot crew. I'm taking a quick break from South America posts (much more to come on that, believe me) to share these photos I took at Cindy's on my last evening in SF. 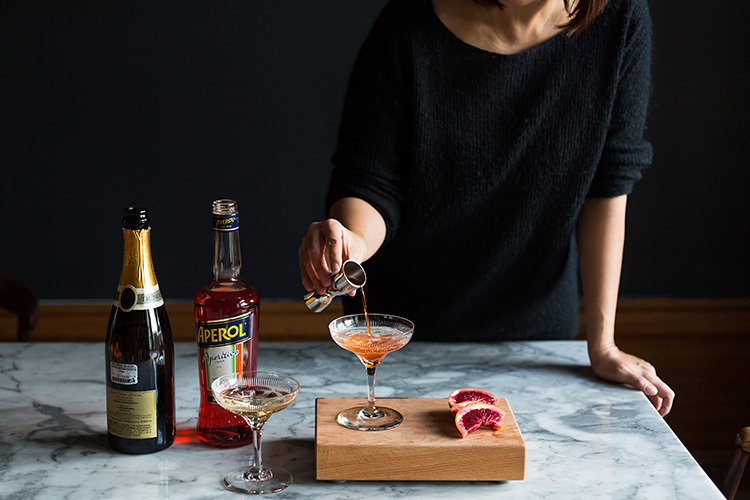 Aperol, blood orange, and some sparking wine. 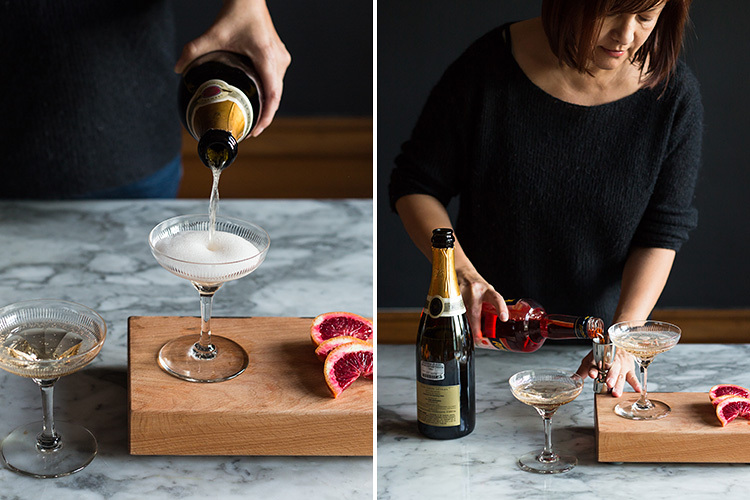 Perfect for an evening sip, or while making meatballs (like we did). Looks so good. Love tracking your work through Insta and getting extra info on the project here. I wonder how many people actually read your blog from instagram? 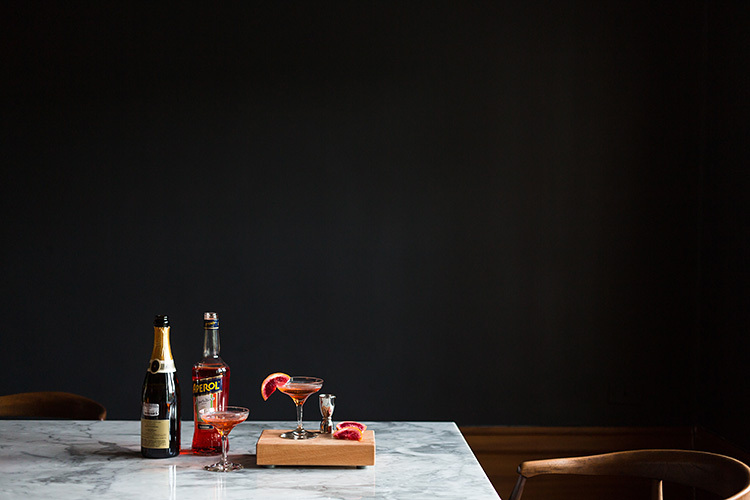 You had me at champagne, but the addition of blood orange now has me adding this to my holiday cocktail list. Thanks!